• Envision a future of learning that is assisted and enhanced using “smart” machines, brain-to- computer interfaces, and advanced digital personal assistants. • Identify how these technological advances will change the way people work, communicate, and learn. • Identify at least three actions you can take now to be ready for the next disruption in learning technology. Author and learning consultant Margie Meacham first became interested in helping people learn when she was a little girl struggling with undiagnosed dyslexia. 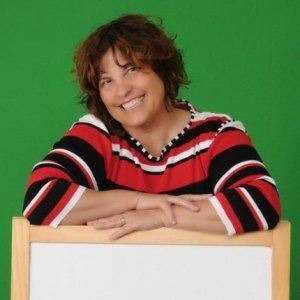 Today, she teaches instructional designers, trainers, speakers and leaders how to create training that is compelling, memorable and immediately useful by applying the latest discoveries from the converging fields of learning science. The author of “Brain Matters: How to help anyone learn anything using neuroscience” is the Chief Freedom Officer of Learningtogo and teaches the ATD online course, Essentials of Brain-Based Learning. You can learn more about Margie on her website at www.learningtogo.info.